In a surprise decision, Evanston City Council last month voted down a plan by a nonprofit group to restore a vacant city-owned mansion on the lakefront and convert it into a Great Lakes education center. It’s just the latest twist in a yearslong saga that has angered residents and has preservationists worried that the mansion could be torn down. The Harley Clarke mansion sits on the lakefront just north of Northwestern University and the city’s iconic lighthouse. This massive French eclectic-style mansion is a local landmark and part of a landmark district listed on the National Register. It was built in 1927 for utilities executive Harley Clarke. Not much is known about the architect Richard Powers, but the landscape is by Jens Jensen, one of the 20th century’s most important landscape architects. Landmarks Illinois included it on its list of most endangered historic places in 2016. Landmarks Illinois President Bonnie McDonald said of Jensen, “some might call him the equivalent of Frank Lloyd Wright in returning to an indigenous landscape and a reference to the prairie. So think of him as one of the most revolutionary landscape architects of his time. “We find it counterintuitive that there may be discussion of demolition by the city of its own landmark,” she added. In 1950 the house became the national headquarters of the Sigma Chi Fraternity. The city of Evanston bought the property in 1963, but Mayor Steve Hagerty says it wasn’t really because of the building. Preservationists agree the building needs maintenance but say it’s in relatively good condition overall. It’s now been vacant for three years as a number of plans for its future have fallen through. One highly controversial plan to convert the mansion into a boutique hotel sparked a very loud community campaign against private development on public parkland. A proposal by the Illinois Department of Natural Resources to restore the mansion as coastal management offices and an education center fell victim to the state budget crisis. After a lengthy proposal process, Evanston City Council entered into lease negotiations with a nonprofit group called Evanston Lakehouse and Gardens that proposed raising $5 million to restore the mansion. Hodgman argues that the Lakehouse proposal conforms very closely to Evanston’s 2008 Lakefront Master Plan. After months of lease negotiations with the city, the Lakehouse group felt they were close to a deal. But at a meeting on April 9, City Council members raised a number of concerns, including the group’s 10-year timeline for fundraising and insurance liability and abruptly voted the plan down. The five aldermen who voted “no” all had different reasons for doing so. One simply prefers tearing down the building and creating more parkland and said the group was given enough time and didn’t prove it could raise the money. Another expressed fears about commercialization of the lakefront. And others felt the city has higher priorities and worried about diverting potential donors away from other Evanston projects. “The only potential solution we’ve all wrapped our head around is that the city does not have financial means to put city money into the mansion,” he said. 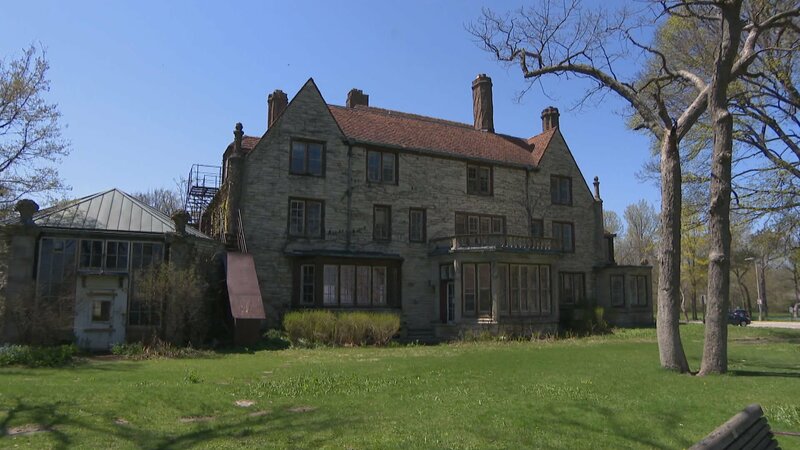 As to how likely it is that the mansion will be torn down, the mayor said: “More likely than it was two months ago.” But he said he isn’t going to send out bulldozers in the middle of the night – a reference to another lakefront controversy, Mayor Richard M. Daley’s infamous “midnight raid” on Chicago’s Meigs Field in 2003. And although several aldermen said it’s just time to move on, Hagerty left the door open a crack, saying that if the Lakehouse group can come back with a shorter timeframe for raising the funds – maybe three years – and show that they have a significant amount of money already pledged, the council might be willing to reconsider their proposal. And the Lakehouse group is making more appeals to potential funders and appealing to the public for donations through their website.